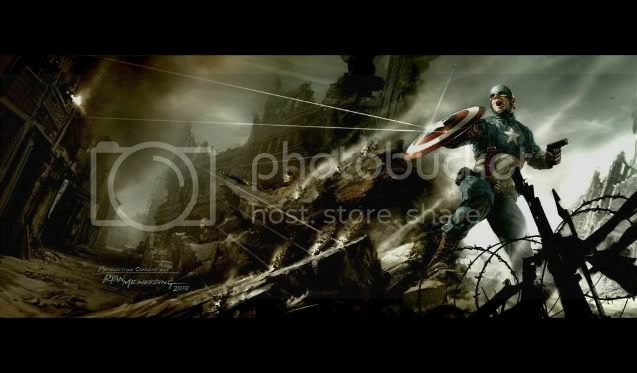 Longing for months and finally I watched this movie, Captain America: The First Avenger. Still remember our hero here? Chris Evans who act in the Fantastic Four, the human torch; I couldn't recognise him at all. I admire the courage of Steve, which make him becomes the superhero of America, sacrifice himself just to save the world. Bravo. This was the first movie that I waited until they finished the credits, most of the people were out from the theater, workers were came in to do their clean-up job; only us sat there to wait for other scene. Luckily, we didn't missed the last yet important scene, a little sneak peak for next year movie, The Avenger. So, did you missed the scene like others? Chuckle. I'm waiting for the movie now, patiently. And in that moment, I sure we are infinite.